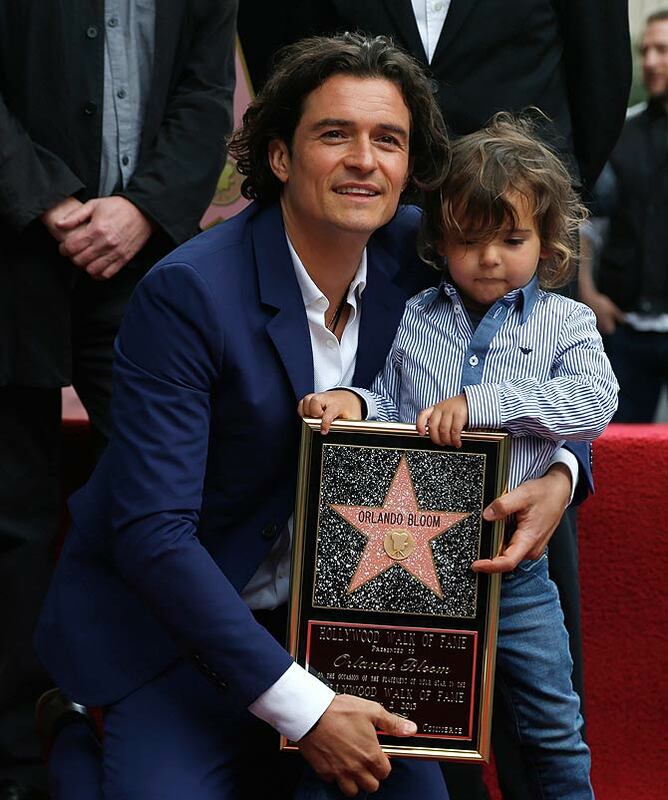 Rediff.com » Movies » PIX: Orlando Bloom gets a star! 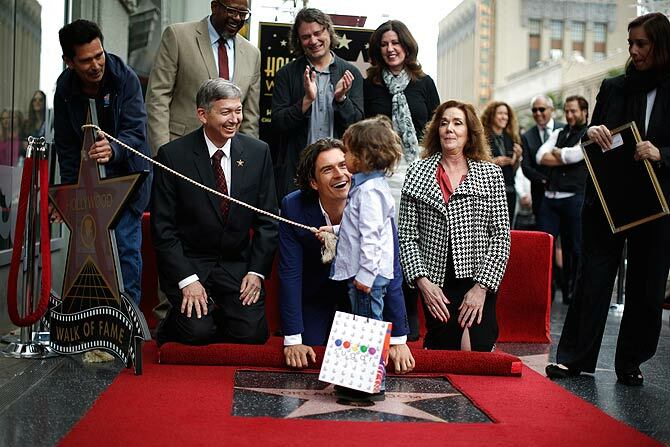 PIX: Orlando Bloom gets a star! From his son, no less! 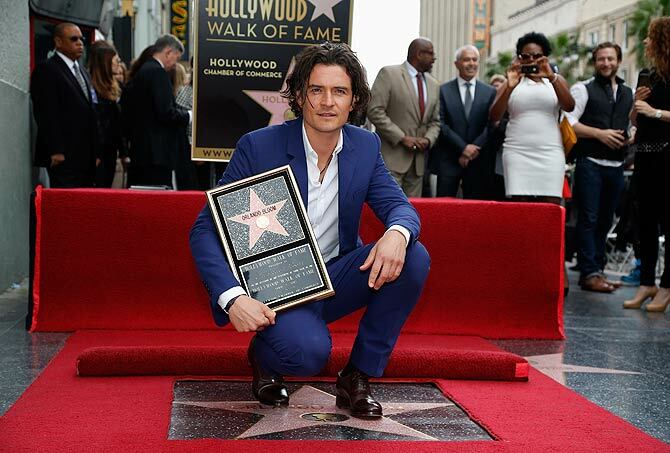 Actor Orlando Bloom received a star on the Hollywood Walk Of Fame in Los Angeles, California, on April 2. 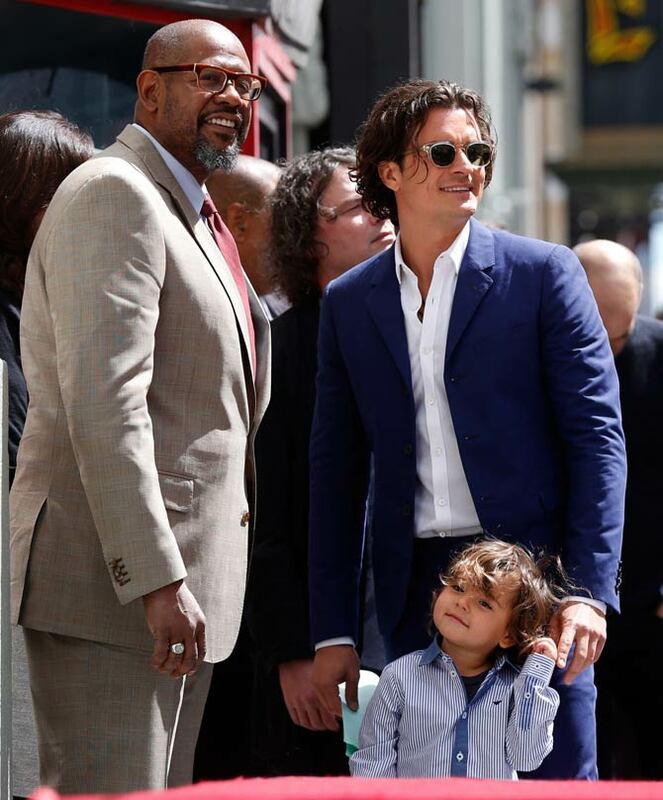 The Lord of the Rings star, who looked dapper posing with the 2,521st star in his slim cobalt-blue suit and crisp white shirt, had his son Flynn for company. Please click NEXT for more pictures from the ceremony. The 37-year-old actor, who split with supermodel wife Miranda Kerr six months ago, sported unkempt hair with his sharp suit. Orlando will reprise his elf prince character Legolas for the final time in The Hobbit: There and Back Again -- due for release on December 17 this year. Flynn also assisted Leron Gubler (in black suit) -- the Hollywood Chamber of Commerce CEO -- with the roped display during the induction ceremony. Guest speakers who praised the English star included his Zulu co-star Forest Whitaker (seen here) and his Romeo and Juliet director David Leveaux.